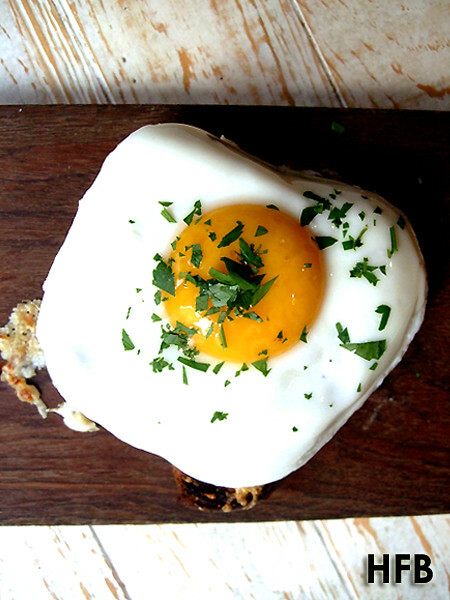 HFB has a love-hate relationship with Sunday Brunch. You see, he loves the idea of having brunch on a weekend – just idling the day away with a glass of OJ and enjoying his eggs and toasts – but he really hates waking up early just so he could enjoy it. 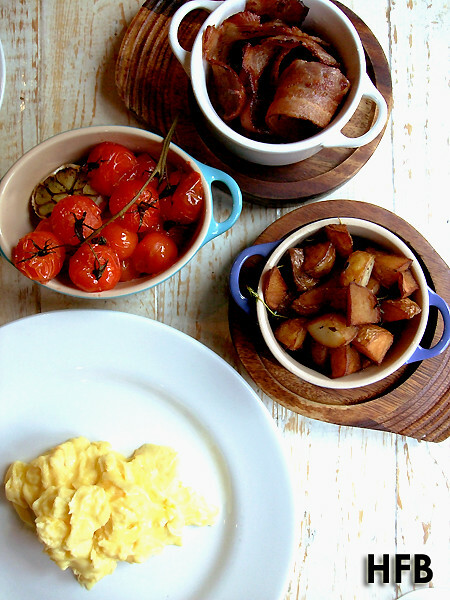 But when Cocotte came knocking on him to sample and review their new a la carte weekend brunch menu with a French twist, he couldn’t say no to it. 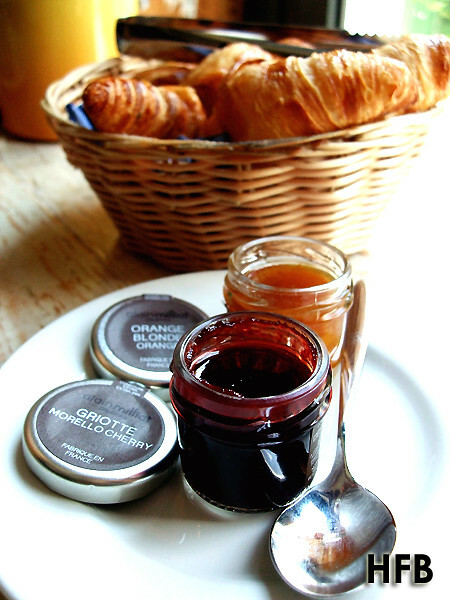 Sunday Brunch at Cocotte got off to a really brilliant start with their Mixed Baskets consisting Croissants and Pain Au Chocolat ($12), which came with exquisite artisanal jams from Alain Milliat. Head Chef, Chef Anthony Yeoh explained that they brought in their bread from France, a tad costlier, but definitely much better in taste compared to the local ones due to the French butter they incorporated within. The croissants HFB tasted were really awesome and it was light and flaky at the same time. What a big difference it made! It’s always nice to start a meal with fruits and Cocotte’s Fresh Fruit Salad ($14) came with a mixture of Fresh Fruits & Summer Berries tossed in Honey-chardonnay dressing and served with Crème Fraiche. One can also opt to up a notch in the fruity section by washing down with Cocotte’s refreshing Summer Punch ($20 serves 4) of mixed fresh fruits with ginger ale and ginger beer. 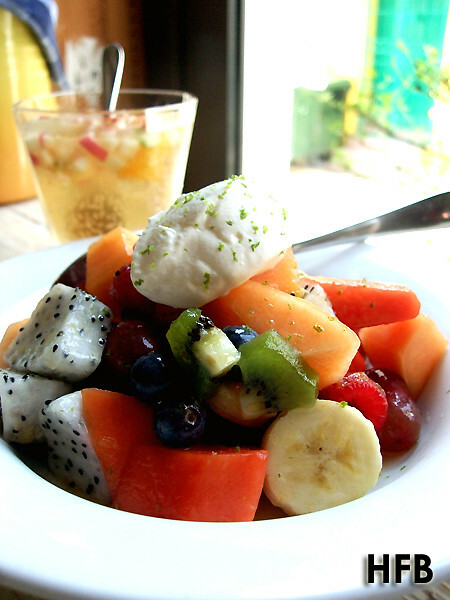 An excellent thirst quencher in our hot summer climate! Customers can be delighted with their choice of eggs ($5) in any of the following cooking methods – scrambled, poached, French omelette or fried, and pair it with their sides, which by the way HFB really enjoyed every one of them! Texture-wise, the Roast Herb Potatoes ($6) were roasted perfectly, and it was wonderfully flavoured by the herbs. 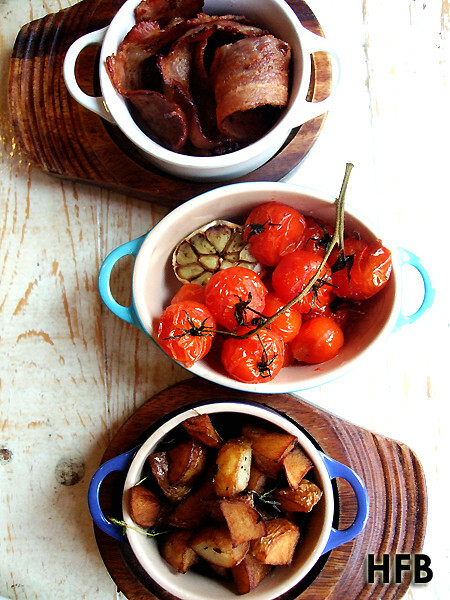 And look at those gorgeous Slow Roasted Vine Tomatoes ($6). They were so succulent and busting with juicy-goodness with every bite. But nothing beats the good o’ Streaky Bacon ($6) that were not greasy and tasted really savoury! Sink your teeth into the Croque Monsieur ($16) and savour the perfect combination of Brioche, Béchamel, Dijon Mustard, Ham and Gruyere. Topped that up with a fried egg that enveloped the whole sandwich to make it a Madame (add $2) and what’s not to love about this dish?!? Crepes are a must have in a typical French brunch. 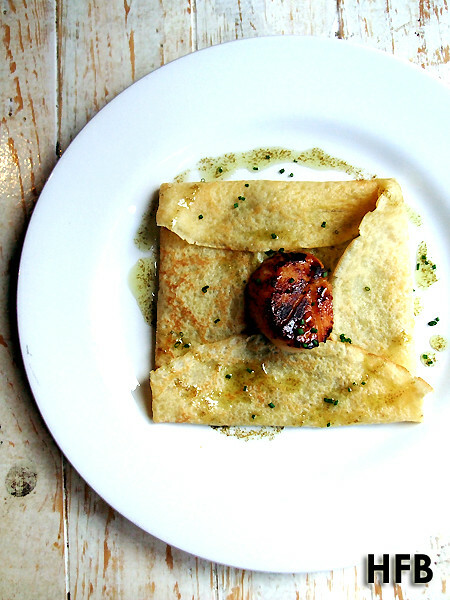 And one should not miss out on Cocotte’s savoury crepe of Creamed Leeks and Scallops ($22). While HFB enjoyed his leeks to be slightly crunchy and firm, he fully appreciated Cocotte’s style of cooking it down till really soft and aromatic, which tasted really appetising when consumed. Although Scallops were seared nicely, it was without much fanfare. Disclaimer: No ratings would be given, as this is an invited media tasting. 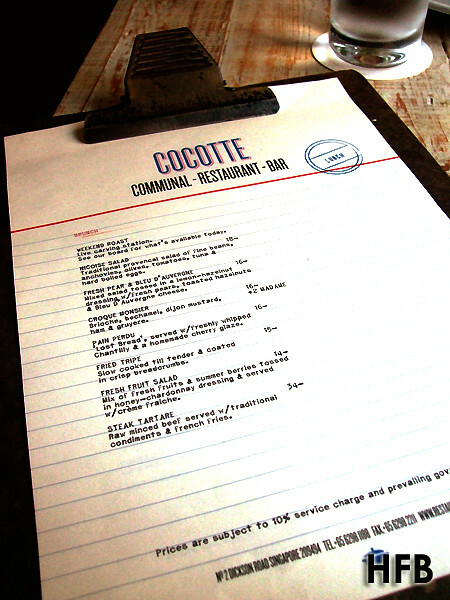 HFB would also like to take this opportunity to thank Cocotte for their hospitality. Great review! Just to double confirm - you mentioned Cocotte brings in their bread from France which means they do not bake it in-house, yea? Yes and no. They bring in their bread from France (unbaked dough) from suppliers and baked in-house using their own oven.